March 20, 2019 Luxent Hotel Quezon City - Servicio Filipino, Incorporated (SFI) one of the leading organizations and “pillars” in the human resource, outsourcing, and workforce management in the Philippines collaborates with Kuder Inc. to implement the full-scale, national career development strategy in addressing needs and concerns of the different stakeholders regarding human capital development. This partnership will help more individuals to find the ideal jobs that will suit their needs and capability. Reality Bites every year there are thousands of graduates all over the Philippines seeking a job but struggling to get they want and end up with the job they didn't specialize. Their mastery of skill doesn't align with their profession and the end of the day become a frustration or failure. This is one of the objectives of this collaboration to emphasize the needs of certain individuals and analyze their current situation. This will help align their goals to become more productive and successful in their career as well in their own lives. The need for professionally trained and competent career practitioners and advocates in delivering evidence-based career services to individuals, groups, and organizations. The need to align and develop an educational curriculum to be responsive to the needs of industries (e.g., 21-century skills, career development, and existing policies) There is also a need for industries to guide the academe and government in facilitating their initiatives in developing the Filipino workforce. Utilize Kuder's professional development portfolio in capacitating career practitioners (licensed and non-licensed) and career advocates (e.g., parents, teachers) in delivering relevant and responsive career services to their targeted individuals. 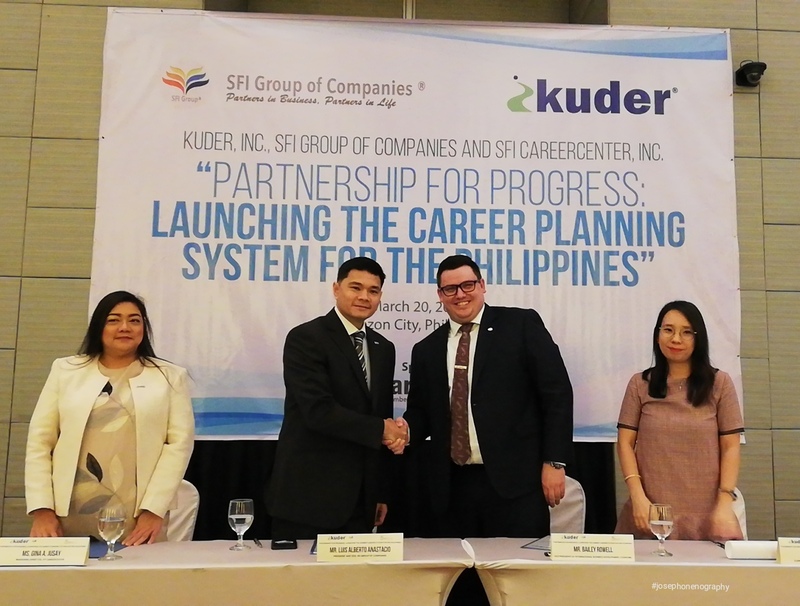 SFI and Kuder to develop competency-based training curricula for increasing the number of competent career practitioners in the Philippines. 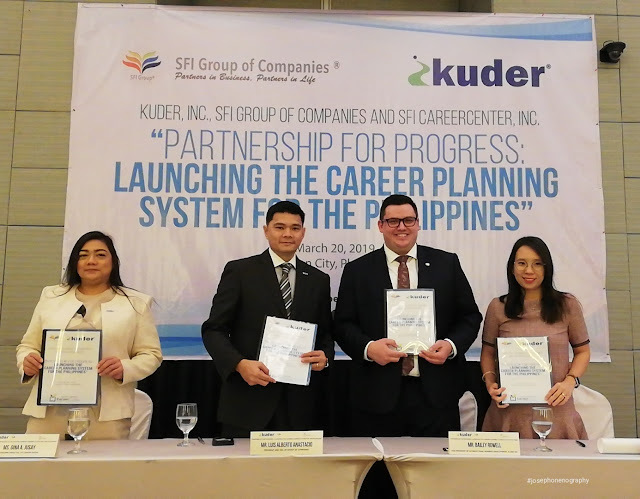 Develop a framework for contextualizing career development in the curriculum for career planning and use SFI-Kuder partnership as a platform for a collaborative effort between and among academic institutions, industries, and government agencies in developing and in standardizing relevant and responsive career development intervention for the Philippines. 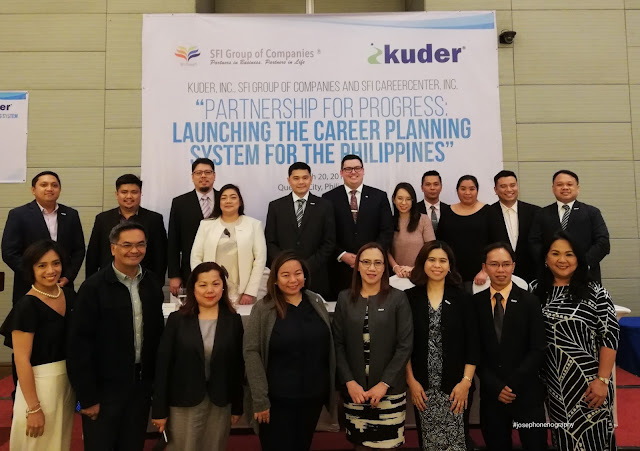 Career Development Association of the Philippines (CDAP) CDAP is a non-stock, non-profit organization dedicated to the growth, practice, and advancement of career development in business and industrial organizations, educational institutions, government agencies and non-government organizations in the Philippines. This organization caters to the professional advancement of licensed career counselors and other career practitioners. *CDAP is a strategic partner of SFI in developing the curriculum for the training and certification of career practitioners and advocates. *Department of Labor and Employment (DOLE). DOLE is SFI's partner in implementing the Philippine Talent Map Initiative (PTMI) assessing the 21st century skills of the workforce. 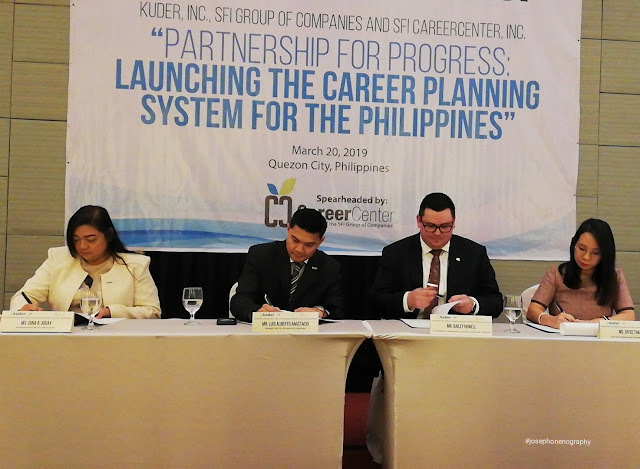 *Department of Education (DepEd), Technical Skills Development Authority (TESDA), and Commission on Higher Education (CHED) and Professional Regulation Commission (PRC). DepEd, TESDA, PRC and CHED, being the educational agencies for basic education, technical- vocational education and higher education, respectively, offers a formidable role in building the labor force/workforce even before the students graduate. *Philippine Chamber of Commerce and Industry (PCCI) and Employment Confederation of the Philippines (ECOP). PCCI and ECOP, being the leader organizations of different industries and employers, they are perceived to be the important actors in the partnership through the institutionalization of career development practice among organizations. 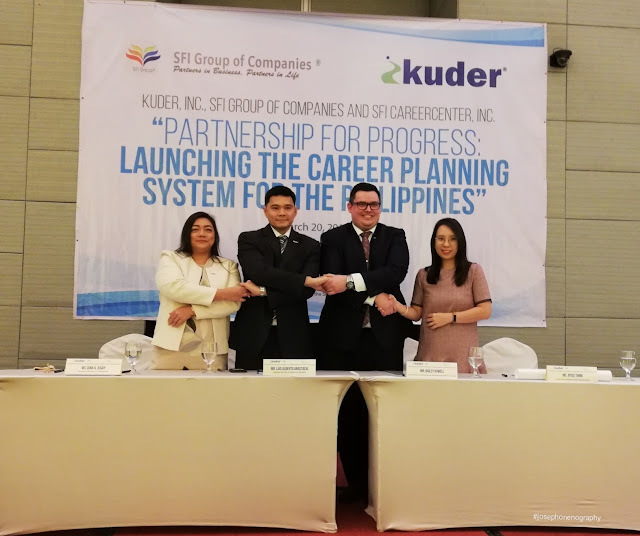 The Kuder system can be used as a tool for evidence-based career pathing of the workforce among different industries. Through this, industry partners and employers may have an easier way of developing evidence- based human resource and organizational development interventions. Customized career development programs may be developed per industry. 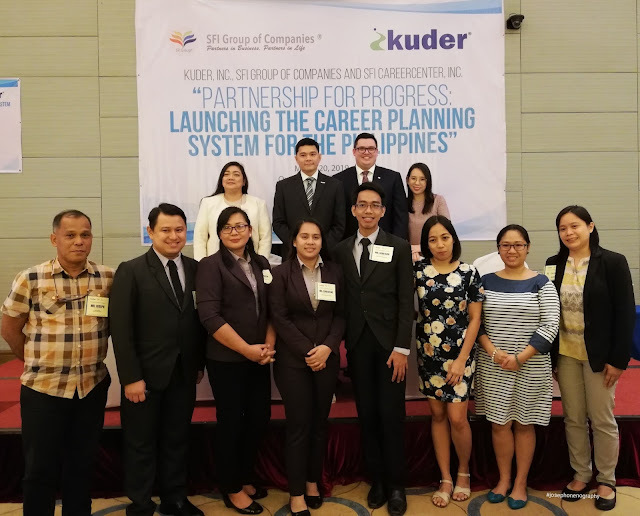 Kuder is an online career guidance solutions provider that has helped more than 165 million people worldwide visualize what's next in life and make the plans to get there. Kuder's customizable and comprehensive tools and resources-including research-based assessments and real-world, actionable guidance to users of all ages-reflect a company-wide commitment to encourage lifelong leaming, development, and achievement. From pre-kindergarten to post-secondary or tertiary education, from entering the workforce to mid-career transitions, Kuder helps people of all ages dream big and plan accordingly.